You are here: Home / Shop Local Raleigh Internships! 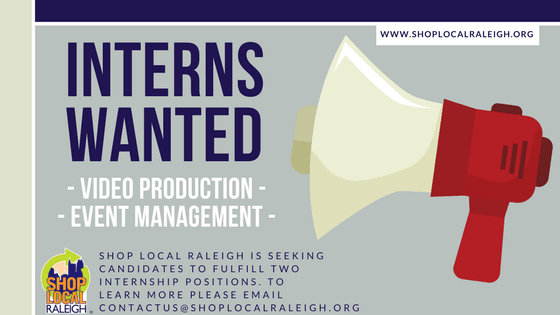 Shop Local Raleigh is seeking candidates for two internship openings! If you are interested in Video Production or Event Management than SLR has an internship for you! Shop Local Raleigh internships are a great way to get real life experience and connect with community professionals. We’re currently seeking a driven Videography Intern or Freelancer to help with our internal marketing and new members spotlight videos. Our ideal candidate will be a self-starter with a positive, take on anything, attitude looking to help local businesses grow their customer base through videos and social media. The ideal candidate will be a tech-savvy individual with prior videography and editing experience. This role could potentially transform into a paid position if the quality of work is outstanding. This person will create videos for our YouTube channel and also film and edit videos for our Meet the Owner blog series. Flexible schedule to be available weekdays, evenings, and/or weekends. Our retailers’ need flexibility in scheduling their shoots. This Sounds Awesome. How Do I Apply? Email harmony@shoplocalraleigh.org with your resume. We’ll respond within 72 business hours to set up an interview or to let you know that we’re not a good fit. We’re looking for someone to begin as soon as possible. Office and remote work available. Perfect for someone needing to build their resume. Shop Local Raleigh is non-profit organization that promotes locally owned and operated businesses by working to educate consumers, business owners and the Raleigh community about the many benefits of spending locally. 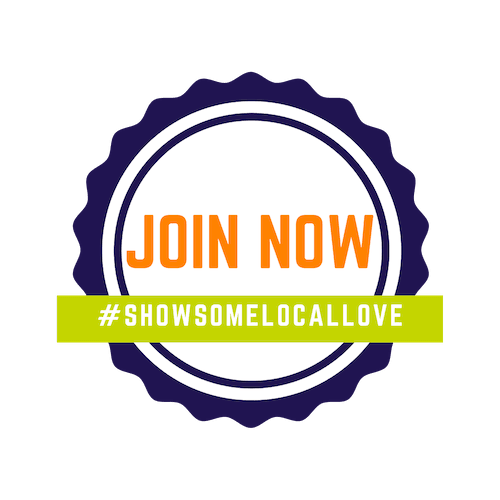 The Shop Local Raleigh web site features an online, searchable directory of local businesses, as well as a wealth of information on the economic, environmental, and “feel-good” benefits of buying local. One of the many ways we connect with the community is through our annual Spring event, Brewgaloo. Brewgaloo is a two day North Carolina craft beer festival highlighting the importance of supporting local businesses and our North Carolina craft beer industry. Held in downtown Raleigh the 4th weekend of April, this event brings together 30,000 fans to celebrate the love of craft beer, live music, and localism. Shop Local Raleigh is seeking an intern who is enthusiastic about all things local and passionate about growing Raleigh’s local community. We are looking for someone with a can-do attitude who is willing to learn and ready to dive in! If you are looking to grow your experience in non-profits, event planning, marketing, public relations, brand development and/or communications, this is the internship for you! Flexible start/end dates, but required to participate in the execution of Brewgaloo on April 27th and 28th. Work schedule is mostly standard business hours, but does require flexibility and some nights and weekends.